The fall season is upon us and only weeks until Halloween. 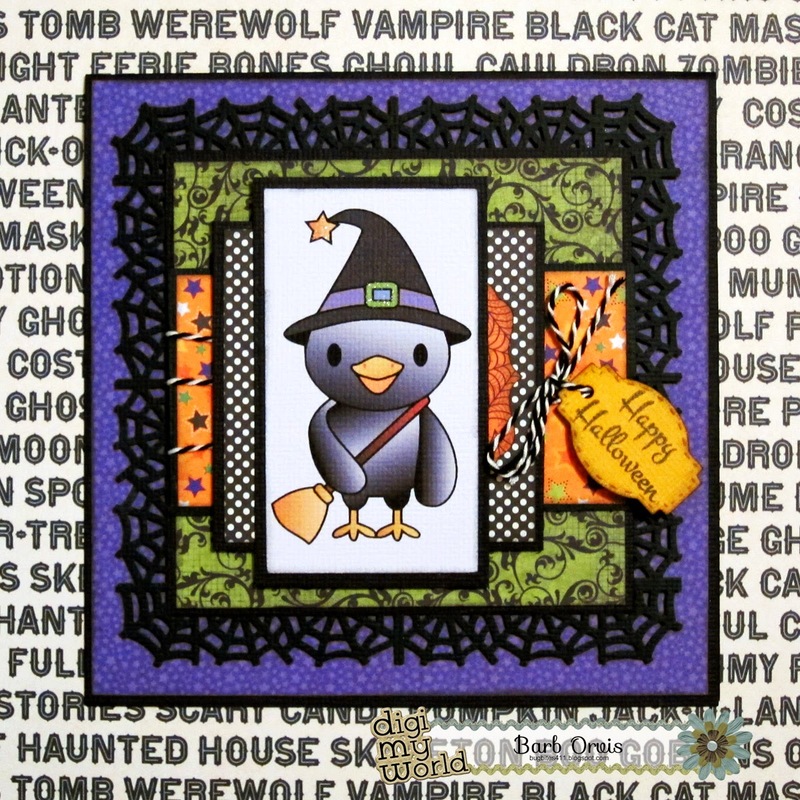 Barb from BugBites here with a cute Halloween card using the cute digital stamp called Witch Crow. 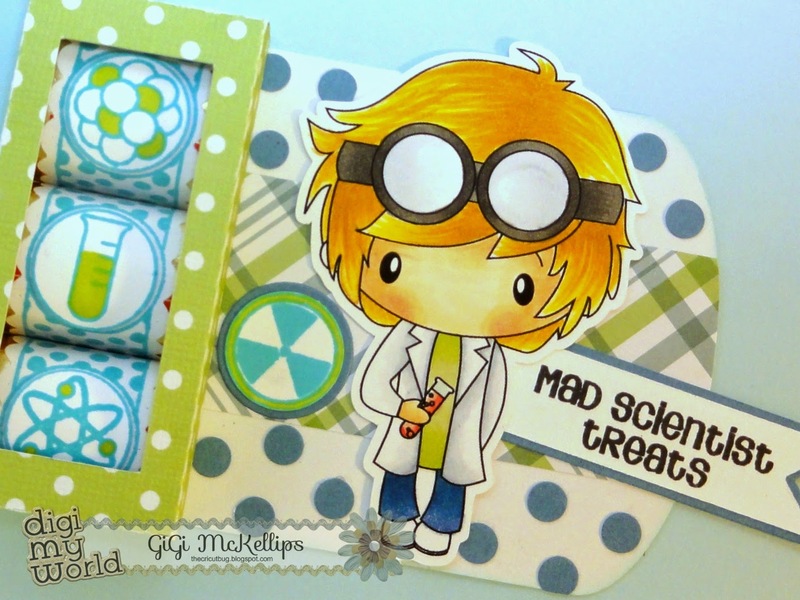 Once I colored the stamp using the design studio, I selected papers to match. 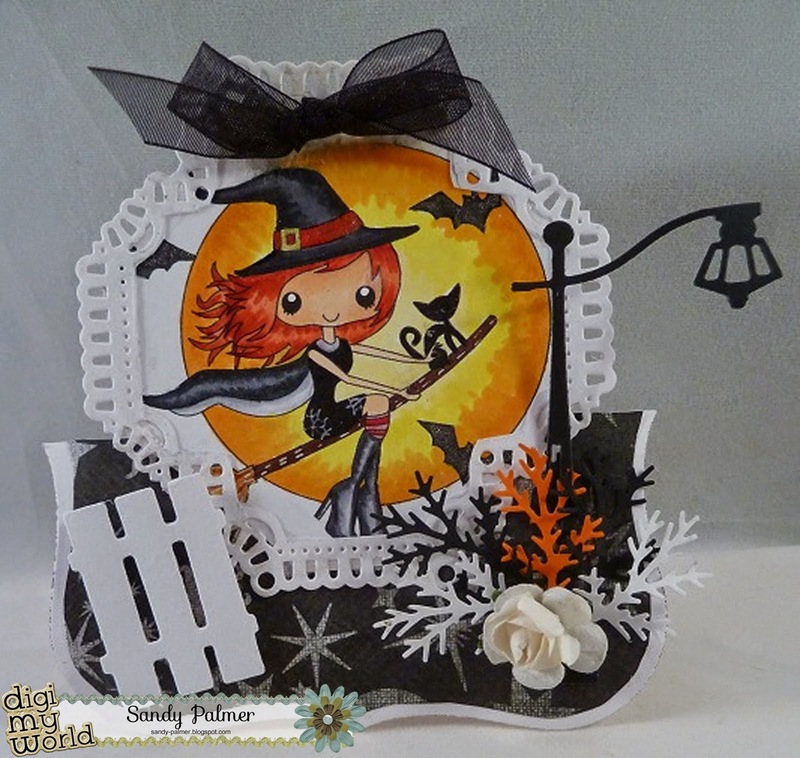 I love the Martha Stewart spider web border punch. I love using this the few times each year but always a favorite punch of mine. 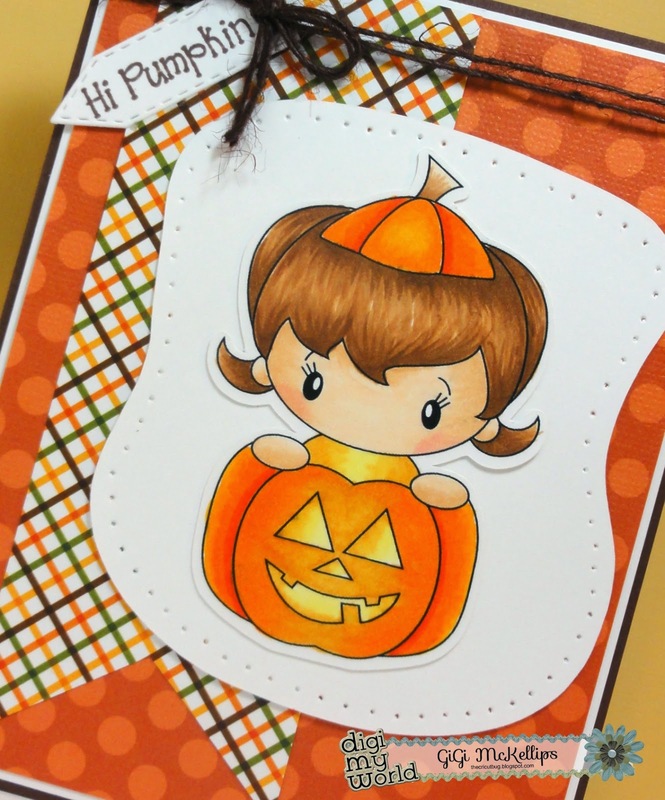 It's Larelyn from Handmade From My Heart. 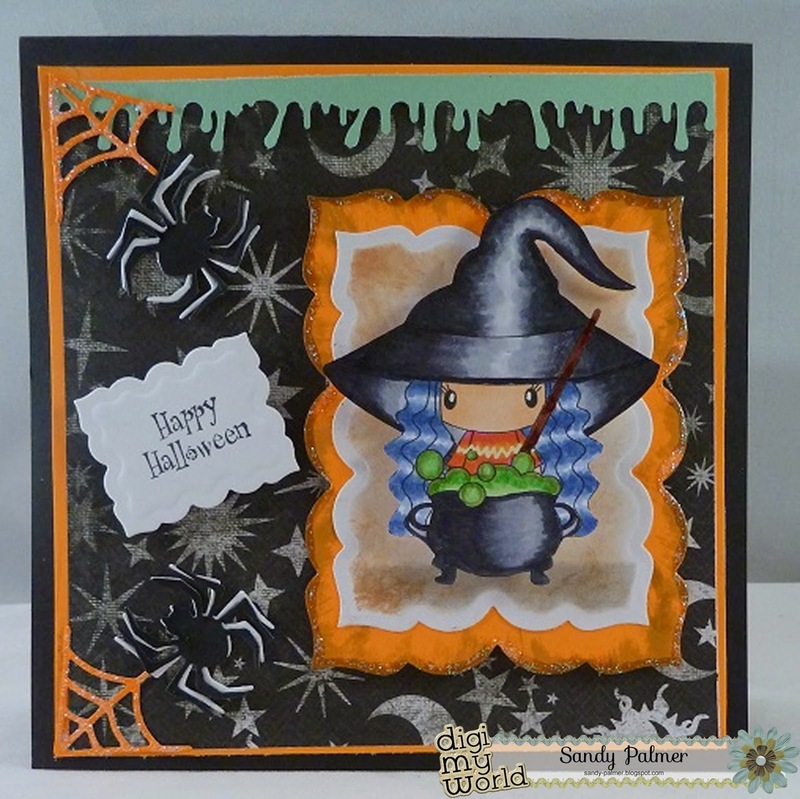 Today I'm sharing one image from a really cute Halloween file called No Fraidy Cats. 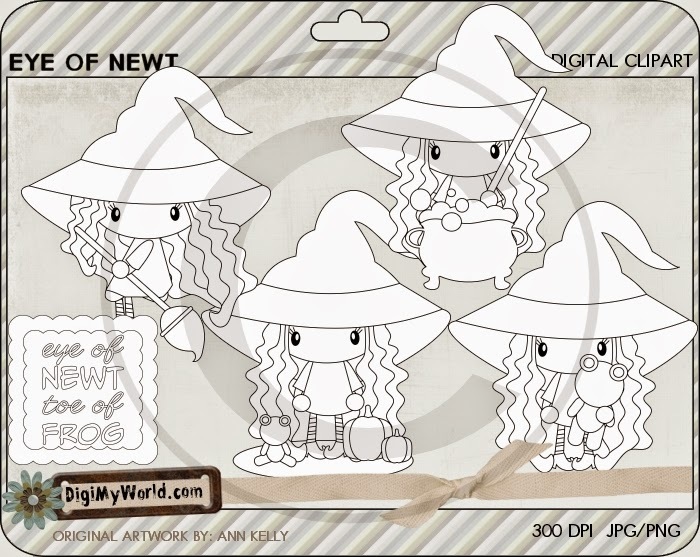 I put this little witch on the outside of SVG Cutting File's Decorative Edge Box which was made to fit Jaded Blossom's gusset bag perfectly. 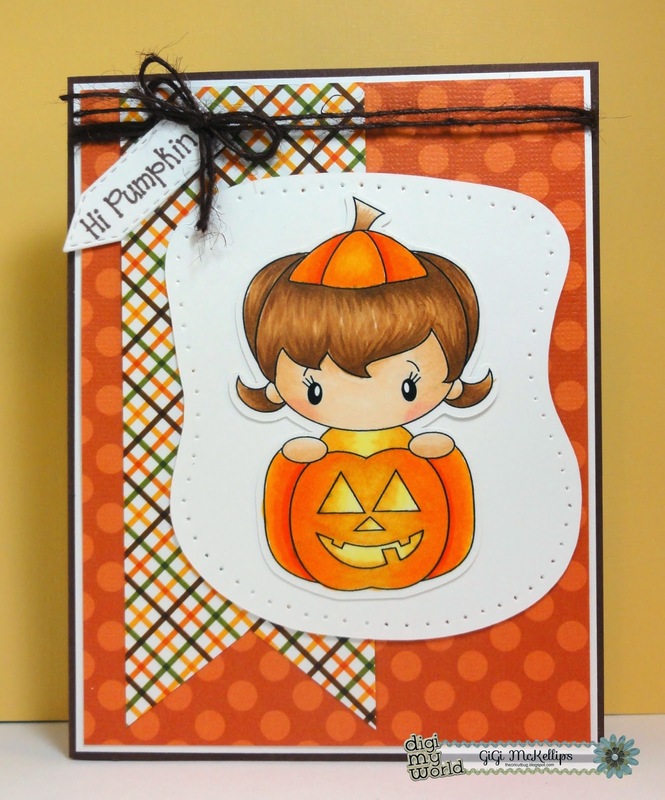 I also used Jaded Blossom's Dainty Topper Die and a sentiment from the Halloween Poop 2 stamp set. 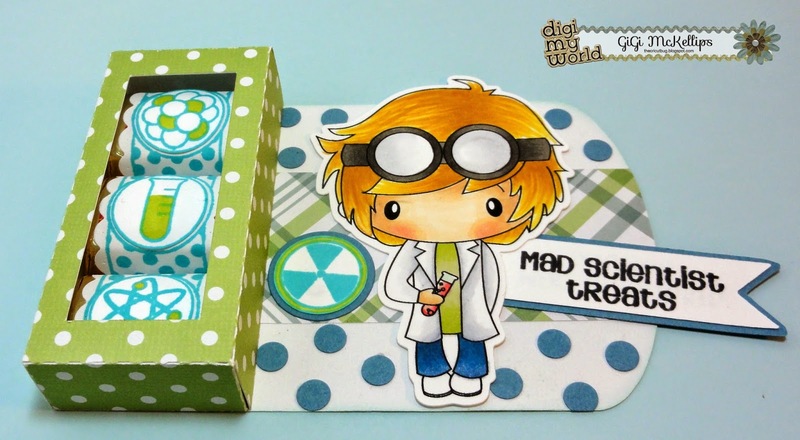 The little bow was tied with Twendy Twine and I used Copics to color the image. 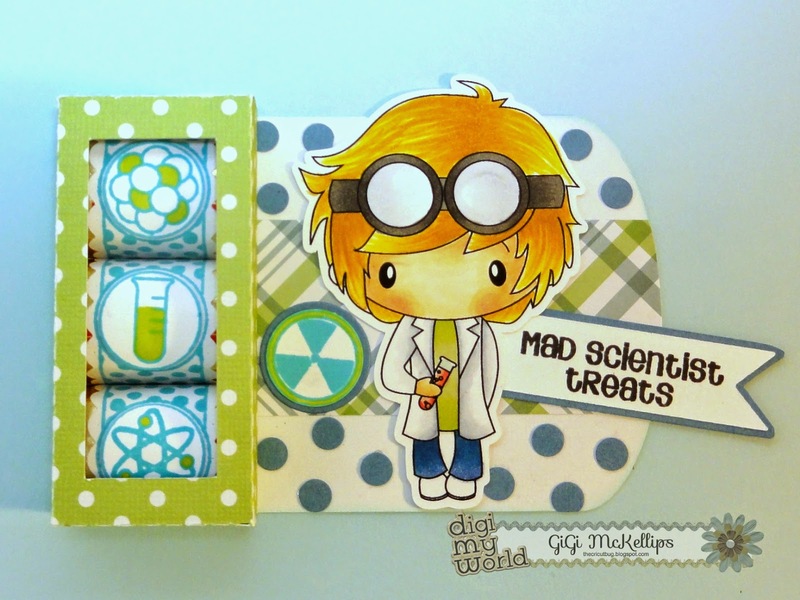 I guess my DT sister Gigi and I had the same idea on what image we were going to use this week, lol! 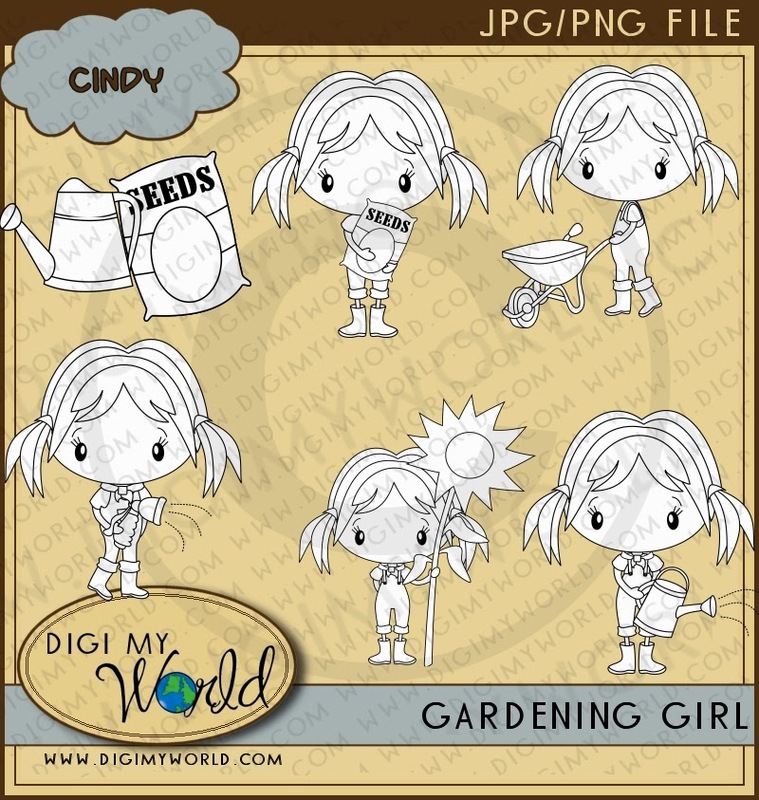 There is a hand full of images on this digi, and I had chosen a different girl from it! One of my daughter in law's just had a birthday! 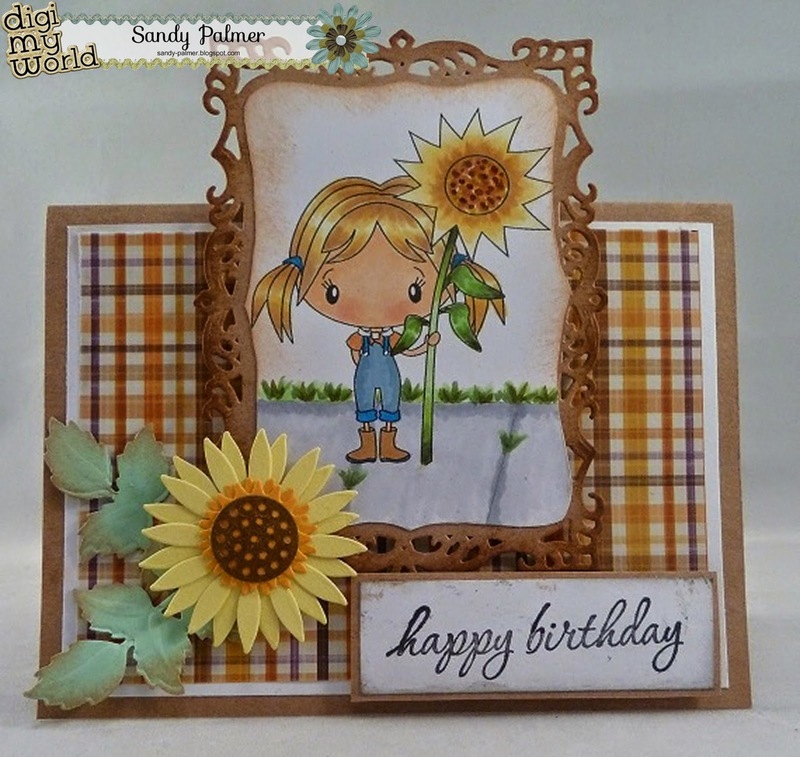 I made this card for her because she loves sunflowers! I just thought this was perfect for her! I really am enjoying the fall colors on papers! Christmas is always my favorite holiday, but there is just something about fall colors that I just always can't wait to use them! 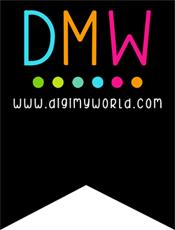 You will find these images under the "Spring" section at the Digi My World Store! She sure is a cutie!!! Anyway, hugs, and happy crafting!